Medical Malpractice - Trial Attorneys - Wisell & McGee L.L.P. You or a loved one may have just left the hospital, but you feel like something is wrong. Maybe you weren’t treated right or you believe that someone made an error while receiving treatment. The nurses, physician’s assistants, radiology technicians, nurse’s aides and doctors employed by the hospital may have made a mistake. Lawyers call this negligence or medical malpractice. Feeling like something isn’t right may not be the fault of the doctor or nurse. This might be the result of something much bigger. This could be a problem with the entire hospital system. A breakdown in the system for diagnosis and treatment of patients like you and your family that needs to be addressed. If a hospital employee makes an error in treating a patient, the hospital is liable for their negligence or malpractice. If you’re not sure if something went wrong, Call us! We will discuss the situation with you and help you to decide if something went wrong and if there is anything we can do to help you. Partners at Wisell & McGee, L.L.P. 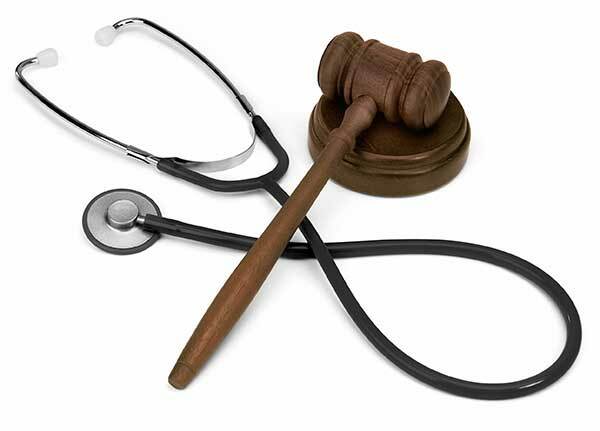 have protected patients for over 20 years in medical malpractice cases. We recently settled a case against Panos. We represented 149 patients against a doctor who made millions of dollars by doing surgeries on people that weren’t necessary. We are working against several major insurance companies to get ALL 149 of our clients, in this case, the compensation that they both needed and deserved. We represented a patient who died at Good Samaritan Hospital because the nursing staff failed to monitor his breathing after administering heavy doses of pain medication. This error by the nurses constituted nursing malpractice and was attributable to her hospital employer. We also represented a patient who was given the wrong medicine by the hospital pharmacy. The hospital pharmacy was liable for the mistake by the pharmacy in handing out the wrong medicine. We represented a patient against Jamaica Hospital. The hospital failed to perform emergency surgery when it was indicated. The patient presented to the emergency room with a perforated bowel requiring immediate surgery. The patient was left alone for 12 hours before receiving surgery. The hospital’s negligence existed due to the failure of its employees to make sure surgery was done immediately. Looking back you start to ask yourself, what if we would have known about the cancer earlier? Would we have been able to stop it? Would my husband or wife have been able to live longer to see his grandchildren grow up for a few extra years? Why didn’t the doctor notice the cancer earlier? Was it not there? Or did the doctor fail to detect it? Did they misread the mammogram? Did they not look closely enough at the blood work? You want answer, right!? Call us. We will meet with you and discuss your situation. We will help you to determine if something was left undiagnosed. We can’t change the past, but we can do everything possible to protect you and your loved one now to prepare you for the future. Very often the signs that a patient has cancer are overlooked by a doctor. When a doctor fails to notice the signs that a patient may be suffering from, colon or breast cancer, a medical malpractice case against the doctor who misdiagnosed the cancer may exist. Our office specializes in cases where a doctor fails to diagnose colon cancer, breast cancer, or skin cancer. We successfully represented a patient who underwent a routine mammogram that demonstrated a suspicious lesion. The radiologist failed to appreciate that the images on the mammogram showed that the patient had breast cancer. The failure to diagnose breast cancer by the radiologist was a medical malpractice case. We obtained a successful settlement for this client based on the doctor’s failure to diagnose breast cancer. Many times a doctor will fail to appreciate the results of blood tests that indicate something is wrong. The failure to appreciate the results of laboratory tests can lead to a misdiagnosis of cancer. Our office represented a patient who’s routine blood work revealed a very obvious problem that the doctor failed to notice. Recognition of the problem too late constituted medical malpractice by the doctor. Sometimes doctors make errors during surgery. Yes, they are trying to save your life, but they don’t always prepare themselves and take ALL of the steps necessary to do their job the right way. No matter what type of work you do, you have to take all of the proper steps to get the job done. If you are an auto mechanic, you must take all of the steps to repair the vehicle. If you don’t, someone can get hurt. If you are a pharmacist and fail to look at your customer’s history and the other medications they are taking, you cannot determine any side effects. If you don’t check into this, someone can get hurt. If you are an Accountant/CPA and don’t look at all of your client’s financial records before submitting a tax return, someone can get hurt. Even a successful surgeon can make a mistake if they don’t follow all of the steps they are supposed to when performing surgery. If a surgeon doesn’t read a patient’s entire medical history before surgery this can result in an improper surgery or inappropriate technique during the surgery. Someone can get hurt or killed because of this. While performing a surgery a doctor may damage an adjacent organ accidentally. The doctor may fail to notice that the adjacent organ has been injured. Failing to notice that an adjacent organ has been injured during surgery is medical malpractice. We have represented many clients who have been harmed by surgical mistakes. Notably, in a bowel perforation medical malpractice case, we obtained a $1,500,000.00 verdict. A doctor perforated the colon during a routine gynecological procedure. The malpractice case was based on the failure to notice a bowel perforation had occurred during the surgery. After a doctor finishes the surgery, they may fail to recognize the signs of infection post-surgery. They may rush to get to their next patient and not properly examine the area of the surgery after they finish the surgery. In every surgery, a risk of infection exists. However, in some cases failure to diagnose post-surgery infection may be medical malpractice. Our office obtained a settlement for a client who underwent routine hernia surgery that ultimately became infected. The medical malpractice case was based on the doctor’s failure to recognize the symptoms of infection.